“[Elections] were rigged by vote buying, organizing carousels, double voting, voting instead of absentees, ballot-box stuffing, and committing frauds while counting ballots. With this bill we want to regulate all these things. This [existing] law does not solve these problems at all,” said MP Oskanian, commenting on the draft Electoral Code submitted to the National Assembly for discussion. The government endorsed the draft Election Code on March 3, according to the schedule, the new Election Code will have been adopted by June, roughly a year before the next parliamentary elections scheduled in 2017. 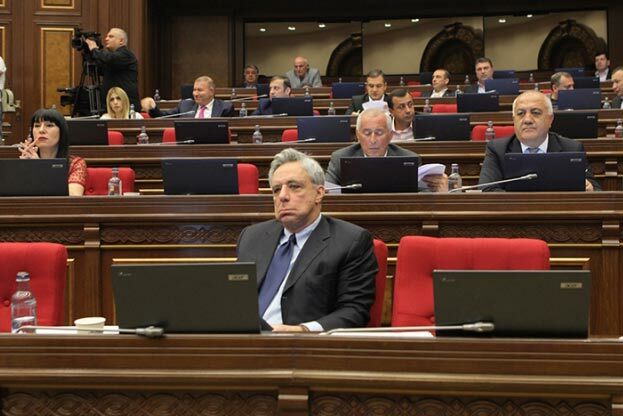 The discussions over the draft Electoral Code that were held within the 4+4+4 format proposed by Levon Zurabyan, the head of the opposition National Congress of Armenia parliamentary faction, failed as opposition and civil society participants in this discussion did not arrive at a consensus with the government. Oskanian said in this regard that they should not step aside. “I think that we should not wash our hands. We have time to work and come to at least a partial consensus, because this is the main problem that we want to solve,” he said. Heghine Bisharyan, the head of the Orinats Yerkir (Armenian Revival) parliamentary faction, said in her speech that the new code will hamper the appeal of the election results at polling stations. “The appeal procedure of [election] results needs adjusting. The date of publication of the preliminary results should be changed. Now it is done within 24 hours, I think that it should be reduced to 10 hours. This time frame is sufficient for everyone,” she said.